Some hype sorting on the claim that Asian pollution is intensifying Pacific Storms | Watts Up With That? Is Asian Pollution Intensifying Pacific Storms? Separating the Hype from Reality. The media over the past week have given a lot of play to a paper in the journal Proceedings of the National Academy of Sciences (PNAS) that claims that Asian pollution is enhancing storms over the Pacific Ocean, with effects extending globally. We are talking headlines in hundreds of major media sources around the world. As illustrated below, the headlines have been pretty scary. But as I will show below, the PNAS paper really proves no such thing and this situation is another example of unhealthy and counterproductive hype and exaggeration in the media. The paper, Assessing the Effects of Anthropogenic Aerosols on Pacific Storm Track Using a Multitscale Global Climate Model (found here) is by Yuan Wang of Texas A&M and collaborators, with the last author being Mario Molina, a member of the National Academy of Sciences (keep this in mind, it will be important later). “There appears to be little doubt that these particles from Asia affect storms sweeping across the Pacific and subsequently the weather patterns in North America and the rest of the world,” Zhang says of the findings. Yuan Wang believes the polar vortex that brought frigid temperatures to much of the eastern United States may have been the result of Pacific storms driven by air particles released over China and other nations . So Asians keeping themselves warm is causing cold waves over the eastern U.S. according to an author of this paper. As we shall see below, such claims are entirely unwarranted. A little analysis quickly reveals that there is far less than meets the eye to this paper. And that there is very little proof that Asian pollution is doing anything to Pacific storms. Let me begin by noting that the Wang et al. study is limited to modeling. There is no observational analysis showing that observed storms are intensifying. No observations showing direct effects of Asian pollution on storms. 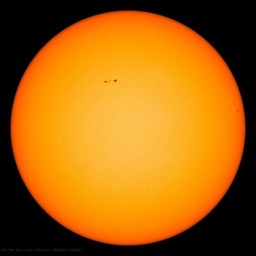 Global warming is a serious issue for mankind and rational discussion of its impacts is being impeded by the huge media hype for weak,speculative papers, most of which will be proven to be in error. And advocacy groups concerned with global warming are not helping their cause by incessantly crying wolf. The world will eventually stop listening. Many folks already have. April 23, 2014 in Aerosols, extreme weather. MSM never let facts get in the way of a good (i.e. scary) story. And now having read Dr. Curry’s post she hits the nail square on the head. May I also post this. Any comments?? Correct me if I’m wrong. Only four storms have been measured below the very intense 880 kPa. All were Pacific cyclones, three occurred in the 1970s and one in the 1950s. Isn’t this simple set of facts a lot like the Arctic ice fluctuations well known since the early 1800s and the sea level rises which began in the 1700s and have been a bit sluggish since the 1860s? Not suitable so not discussed. Sure, the Chinese need to do something about their particulates. But this scare seems just another example of straightforward, critical, easily available knowledge being ignored for the purposes of concocting more mock-science of climate. I meant hPa, of course. I’m a bit confused here. I thought we were doomed from Global Warming. One of the things GW was suppose to do was intensify storms. Then the warming stopped because of particulate aerosols from China. And now it’s supposed to be the particulate aerosols that are intensifying the storms, and not GW. Are we still doomed? What was that Hollywood movie I watched once, about newspapers? One of the lines was something like…”go out & find some news, & if you can’t find any, invent some!” or thereabouts! “There appears to be little doubt that these particles from Asia affect storms sweeping across the Pacific and subsequently the weather patterns in North America..,” Zhang says. The current drought conditions in western North America appears to be more than a little doubt. Well for the pollution to be intensifying the storms, you think the promoters of this bit of hype would have noticed storms are not intensifying. That sort of makes the rest of their report yet another example of rent seeking by yet another gang of climate scammers. Mass argues on the basis of observations, then says, “Global warming is a serious issue for mankind and rational discussion of its impacts is being impeded by the huge media hype for weak,speculative papers, most of which will be proven to be in error”? This statement gives the impression Mass believes global warming will have catastrophic effects. Otherwise, global warming wouldn’t be a “serious issue,” right? But where are the observations to support that conclusion? Even the assumption of catastrophe has only models as buttresses. The reliance on Models to the exclusion of observation reminds me of a prescient prediction made by Isaac Asimov in his first Foundation book. He was not sympathetic to the practice. As always mentioned here, it’s models all the way down!! Then reducing aerosols will increase insulation adding energy to “the system” thereby increasing storm frequency and energy, right? Isn’t that the claim? AGW increases storm power and frequency? It is clear that the speaker of climate alarm does not know how storms within a system work. The strongest storms take place in this solar system at temperatures well below -100 where there “isn’t much energy” I suppose. What a crock. If the whole system heats up, there is no increase in delta T and the storms stay exactly the same. If the baseline temperature rises the rain stops sooner, at the same relative humidity as before. There is a conference on aeolian dust in China in a few weeks. Maybe this “climate alarm paper” was written to worm someone’s way onto the podium. The great majority of airborne particles in China and Korea come from the Gobi Desert. Over the ocean they come from the ocean. This is not news. What is “clear in the models” is the predetermined outcome. So Bill Nye was right after all.. Playing computer games and asking the advice of fashion models. What is this world coming to? Increasing levels of air pollutants in Asia have recently drawn considerable attention, but the effects of Asian pollution outflows on regional climate and global atmospheric circulation remain to be quantified. Using a multiscale global aerosol–climate model (GCM), we demonstrate long-range transport of the Asian pollution, large resulting variations in the aerosol optical depth, cloud droplet number concentration, and cloud and ice water paths; enhanced shortwave and longwave cloud radiative forcings; and increased precipitation and poleward heat transport. Our work provides, for the first time to the authors’ knowledge, a global multiscale perspective of the climatic effects of pollution outflows from Asia. The results reveal that the multiscale modeling framework is essential in simulating the aerosol invigoration effect of deep convective cloud systems by a GCM. They “demonstrate” absolutely nothing. I remain to be convinced. Below is ANOTHER modelling study and why we should always suspect climate modelers ‘work’. Garbage in garbage out. I’m getting annoyed by the term ‘model’. What they have is an emulation not a model. A model implies a physical reality ie a model train or plane which is a scaled down replica of reality. Psychologically humans perceive a model as close to reality but they won’t consider an emulation as such. Sceptics should perhaps refer to ‘models’ as ’emulations’. If the AGW crowd can change their terminology from global warming to climate change and climate disruption then…..
Cliff Mass is the [go] to guy for Seattle area weather, a professor at Washington University. I have been following his blog for maybe 5 years. He believes that the “Greenhouse Effect” is real, and that we have something to fear if nothing is done about it. But he has seriously dampened his enthusiasm for the hype over the years. Around here he is becoming known as something of a skeptic, since he gets publishes articles decrying the hype, especially in the local press. In Seattle anything short of full-on hysteria about CAGW is heresy. Now I see him here at WUWT and I smile. Hopefully the people who read his blog will not reveal that he has been published here, or I fear for his safety. That being said, if a true believer like Cliff can poke the same holes in studies based on models, we are in better shape. This gives me hope. For us to notice that a study that is all about models and ignores any easily available actual data is normal. For a guy like Cliff Mass to publish about it is, well, progress. It sure is perplexing that Cliff Mass expresses such skepticism about this claim because it’s only based on models and not observations and actual evidence, and yet he’s believes the claims for CAGW (at at least “serious” AGW) which has EXACTLY THE SAME PROBLEMS. I’m all ears for an explanation. I read/check Cliff Mass’s blog everyday, found the link to his site in a story at WUWT a couple years ago. He puts up interesting stuff, seems convinced we are heating up the world enough to make it “worrisome” ? He will point out bad science though. Hmm, I usually eschew any modeled-not-validated result. But, Renyi Zhang, one of my favorite profs, always was a stoic, reliable guy. Not like him to support modeling unless there is a reasonable amount of certainty. As well, Zhang was THE expert on atmospheric chemistry and aerosol dispersion at A&M at the time (10 years ago). I think I’ll have to get my grubby hands on the full paper.